January 9 : Janet is a guest on The Tonight Sgow With Jay Leno along with her trainer Tony Martinez. January 26 : Prince, Paris, Blanket, Katherine, Jackie, Siggy, Brandi, Tito, Taj, TJ, Royal, Quincy Jones, Debbie Allen, Chris Tucker, Smokey Robinson & Justin Bieber attend the Michael Jackson ‘Immortalized’ hand and footprint ceremony held at Grauman’s Chinese Theatre in Hollywood, California. January 27 : Prince, Paris & Blanket attend the Los Angeles premiere of Michael Jackson ‘THE IMMORTAL’ World Tour at Staples Center. Late January : Janet goes to Paris to spend time with Wissam. February 7 : Janet flies from Los Angeles to New York City. February 14 : Janet tapes an interview for the Anderson Cooper Talk Show in Manhattan with her trainer Tony Martinez & her Chef Andre. February 20 : The Anderson Cooper episode with Janet is aired on CNN. February 21 : Blanket celebrates his 10th birthday with family and friends. February 23 : LaToya is a guest on the Wendy Williams Show in New York City. February 26 : Janet shoots a new commercial fot NutriSystem directed by Dave Meyers. March 12 : Janet has dinner with Gil in L.A.
March 26 : Janet has lunch with Preston in L.A.
March 27 : Janet is spotted at LAX leaving L.A for Dubai. 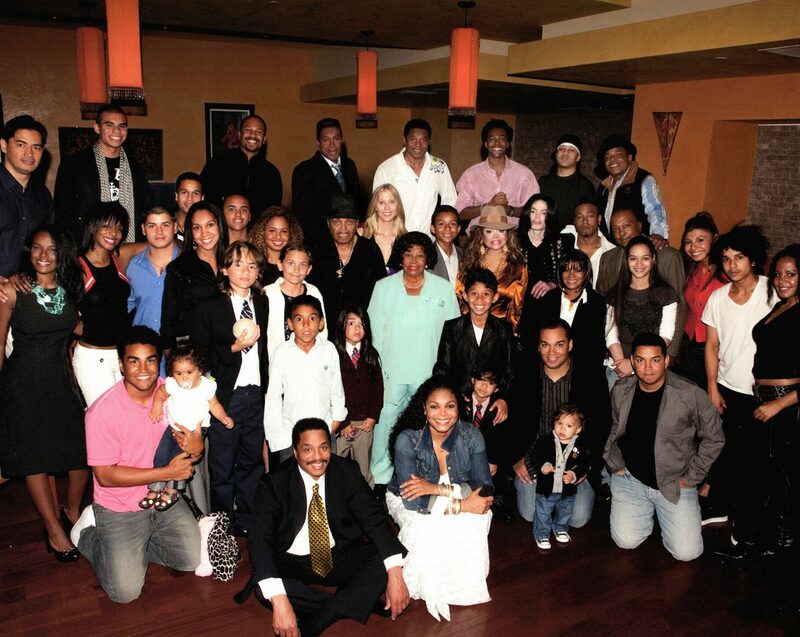 April 03 : Paris celebrates her 14th birthday with family & friends. April 5 : A new NutriSystem commercial and picture is premiered. April 7 : Janet & Wissam arrive in Paris on a flight from Dubai. May 10 : Janet attends the Marco Glaviano “Supermodels” exhibition opening at the Keszler Gallery in New York. May 16 : Janet celebrates her 46th birthday with Wissam in Paris, France. She tweets for the first time about Wissam sharing a picture of them in Paris. May 18 : LaToya attends the 19th Annual Race To Erase MS Event at the Hyatt Regency Century Plaza in Century City, California. May 23 : Janet & Wissam attend the Grisogno Glam Extravaganza at Hotel Du Cap Eden-Roc in Cap d’Antibes. May 24 : Janet & Wissam attend the 2012 amfAR’s Cinema Against AIDS at Hotel Du Cap Eden-Roc in Cap d’Antibes. June 1 : Janet shoots her 3rd campaign for Blackglama in New York City. June 14 : Janet & Wissam are spotted at the Midori Sushi Restaurant in Doha (Qatar). July : Janet, Randy, Jermaine, Rebbie & Tito sign a letter demanding the resignation of the exucotors of the Michael Jackson Estate and accusing them of forging the Will. July 2 : LaToya, Katherine and Rebbie attend a performance by Austin Brown at the 2012 BET Music Matters Showcase held at the Creative Artists Agency in Los Angeles, California. July 12 : Janet sends Dr Metzger to Katherine’s house in Calabasas in order to take her to a resting place in Arizona. July 15-20 : Janet & Wissam are spotted on vacation in Porto Cervio in Sardinia, Italy. July 17 : The letter is leaked to the medias. A big controversy rises up when Paris Jackson attacks Randy on Twitter about Katherine. July 21 : Katherine’s nephew Trent files a missing report with the L.A County Sheriff’s Department because Prince, Paris & Blanket haven’t been able to speak to her since she left L.A on July 15th. Jermaine tweets that Katherine is not missing. She is safe and resting in Arizona. 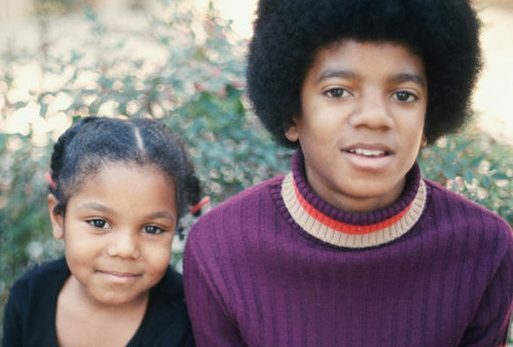 July 22 : Prince, Paris & Blanket attend The Jacksons’ concert at the Greek Theatre in L.A.
July 23 : Back in L.A, Janet goes to the Jackson family home in Calabasas with Jermaine & Randy and they triy to take Prince, Paris & Blanket to Arizona but the kids refuse to go along. Trent calls the police and orders Janet & her brothers off the property. July 24 : Janet goes to Arizona to visit her mother. Katherine orders the security team to be fired and replaced by Janet’s security and she also orders Trent off the property. Katherines phones to Prince, Paris, Blanket & TJ and promise to go home. Marlon, Tito & Jackie give an interview to The Insider saying that they are not allowed to speak to Katherine and Marlon breaks down and cries. LaToya remains silent on her social medias. July 25 : An L.A Judge appoints TJ to become the temporary guardian of Prince, Paris & Blanket. Katherine reads a statement to ABC News from the Miraval Spa in Tucson, Arizona surrounded by Janet, Jermaine, Rebbie & Stacee. She denies having been kidnapped and says she’s devasted to have lost guardianship of the kids. At night she goes back home and is finally reunited with Prince, Paris & Blanket. August 1 : Janet is spotted at LAX airport in Los Angeles. August 3 : A STATEMENT OF BLAIR G. BROWN ON BEHALF OF JANET JACKSON, RANDY JACKSON & REBBIE JACKSON is posted on Janet’s Twitter & Facebook pages. August 8 : Janet & Gil tweet “LET’S DO THIS” & Gil reveals that Janet will be back in a dance studio next week! August 9 : Janet is spotted in Armani Cafe in Doha, Qatar. August 12 : Back in L.A, Janet has lunch with make up artist Preston and hair dresser Cassie. August 16 : Janet attends WWE Summer Slam Kick-off party in Los Angeles. August 25 : Janet attends her nephew Austin’s show at Hunnington beach with Rebbie, Yashi & Genevieve. August 29 : A 3rd campaign for Blackglama featuring Janet begins. LaToya starts shooting her upcoming TV reality series “Life With LaToya”. Latoya attends a candlelight vigil at the childhood home of Michael Jackson in Gary, Indiana (she came with Katherine). August 30 : Prince, La Toya, Blanket and Paris attend the St. Paul Saints Vs. The Gary SouthShore RailCats baseball game at U.S. Steel Yard in Gary, Indiana. September 8 : Janet & Wissam attend the Dylan’s Candy Bar Opening in Los Angeles. September 16 : Ian Cross, Janet’s longtime sound engineer posts a picture on his FB page of what it seems to be Janet’s feet in the studio with a legend : “Oh. this is the start of something good. Don’t you agree?”. September 28 : Janet attends Bebel Gilberto’s concert in Los Angeles. October 1 : Janet is spotted at LAX airport where she takes a flight to Paris. October 2-11 : Janet is in Paris with Wissam. October 12 : LaToya attends the ‘Celebrity Apprentice All Stars’ Season 13 Press Conference at Jack Studios in New York City. October 13 : Janet & Wissam are spotted having dinner at the Diplomatic Club in Doha, Qatar. October 16 : LaToya is filming on location for ‘Celebrity Apprentice All Stars’ in New York City. October 25 : Janet & Wissam attend Kira Plastinina’s fashion show in Moscow, Russia. November 6 : Janet is spotted in L.A on US Election Day. November 15 : LaToya attends Henri Bendel holiday window unveiling 2012 at Henri Bendel in New York City. November 18 : Janet attends her nephew Austin Brown’s birthday celebration in L.A.
November 24 : Prince, Paris & Blanket spend pre Thanksgiving dinner at their Calabasas home with their cousins. November 30 : Janet tapes a video message for World AIDS Day. December 4 : LaToya attends ‘Donny & Marie Christmas In Los Angeles’ opening night at the Pantages Theatre in Hollywood, California. December 5 : Janet is back in a dance studio with Gil, Preston & Whyley. December 13 : LaToya attends the ‘World Of Wonder’ book release party at Universal Studios Backlot in Universal City, California. December 16 : Janet & Wissam are spotted shopping in L.A.
December 24/25 : Prince, Paris & Blanket spend Christmas at Disneyworld with Omer Bhatti and their cousins.